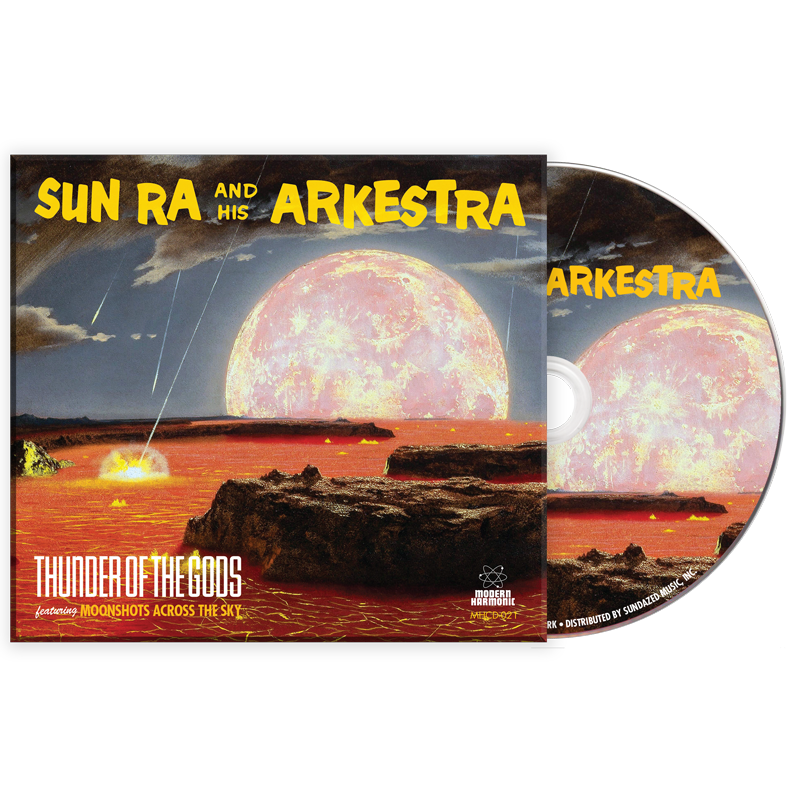 A new Sun Ra album touches ground in the earthly bins, 50 years after its creation! Sun Ra is still trying to get our attention 50 years after dispatching this transmission. Humanity?s path since then makes his message even more urgent today. Years after Herman Poole ?LeSony?r Ra? Blount ?left the planet? he?s still trying to reach us, to wake us up and to change our destiny. Sun Ra and the Arkestra weren?t a traditional studio band, and every star in the vast galaxy of their discography reflects this. The origins of these records can be hard to pinpoint at times, but when it comes to Thunder Of The Gods, it?s a bit easier. ?Calling Planet Earth ? We?ll Wait For You? was discovered on tapes from Ra?s, Universe In Blue, believed to be recorded in ?71. The raucous title track and ?Moonshots Across the Sky? are unearthed from the ?66 Strange Strings sessions. Modern Harmonic has once again paired Ra?s sonic art with the visual art of ?The Father of Modern Space Art,? Chesley Bonestell, whose 1952 work ?Formation of the Earth?s Continents? spralls across the front and back covers. Also available on colored vinyl!